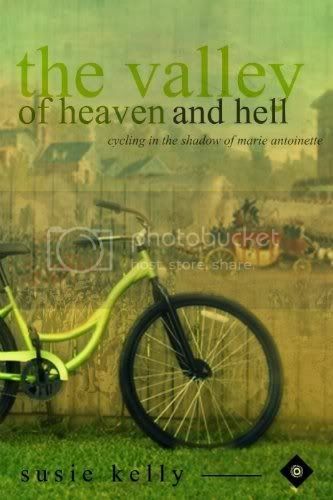 The Valley of Heaven and Hell is a quirky, highly entertaining and endearing mix of personal travel adventure and French history. Alongside her energetic and resourceful husband (when he's not zooming on ahead), novice cyclist Susie bikes 500km following the identical route taken by Marie-Antoinette and Louis XVI when they tried to escape from the Revolution, and their journey back to their executions. In this unique blackbirdebooks presentation the reader can follow the author's journey online through links to the websites of hotels, campsites, gardens, restaurants, historical places of interest, and even songs, that Susie encounters along her way. Travel with Susie as she wobbles through Paris and Versailles, the battlefields of World War 1, the Champagne region and more. I very much liked this book. It is full of great information and entertaining and funny. This book makes me want to go visit France.